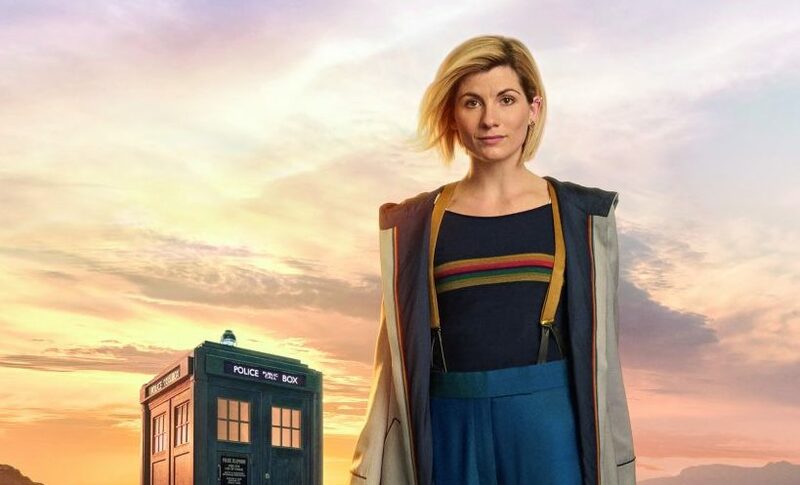 Jodie Whittaker (Broadchurch, Attack The Block, White Wedding) is Doctor Who’s Thirteenth Doctor – a super-smart force of nature, who can change appearance (and gender) by regenerating when near death. She’s the first female to play the iconic role, taking over from Oscar winner Peter Capaldi, who took over from Emmy nominee Matt Smith, who took over from People’s Choice Award winner David Tennant, etc, going all the way back to the first Doctor, William Hartnell, who started what’s now the world’s longest-running science fiction show in 1963. 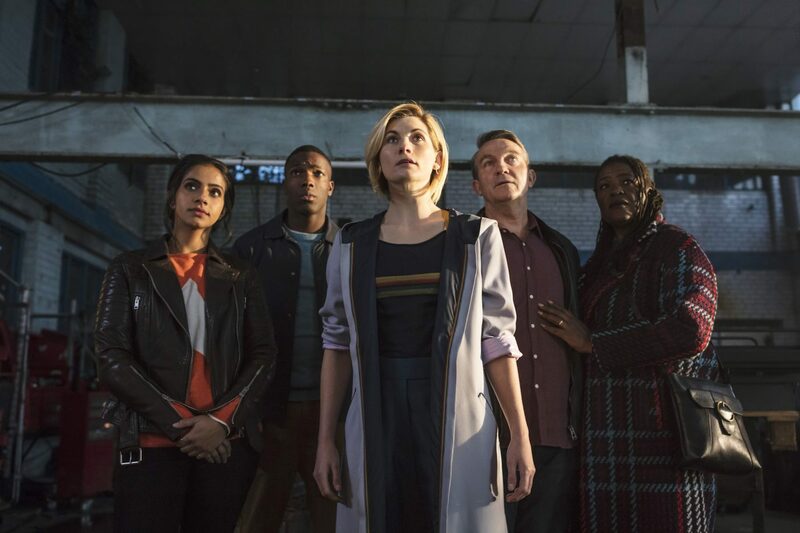 Jodie’s not the only change in Season 11, which comes first and only to Showmax, express from the UK broadcast: the Doctor has three new friends, played by Tosin Cole (Star Wars: The Force Awakens), Mandip Gill (The Good Karma Hospital) and Bradley Walsh (Law & Order: UK), and the series has a new showrunner (Broadchurch’s Chris Chibnall) and a new VFX house (Double Negative, who’ve won the VFX Oscar four times in the last eight years), among other upgrades. We caught up with Jodie to talk about what Whovians can expect, why Who-virgins should start watching, doing her own stunts, and what it was like to shoot in South Africa. What do Whovians have to look forward to this season? If you’re a fan of the show already, it’s got everything you expect. It’s got new monsters, it’s got fantastic new worlds. It’s also got worlds that we’re familiar with, but are maybe seen from different points of view. It honours everything that has gone before, but it then has a different burst of energy with all the new cast members. Why should Who-virgins tune in this season? If you’ve never seen the show before, this is a great season to start with. It doesn’t need an encyclopedic knowledge of Doctor Who to get into it. The show has a very rich history of about 55 years. 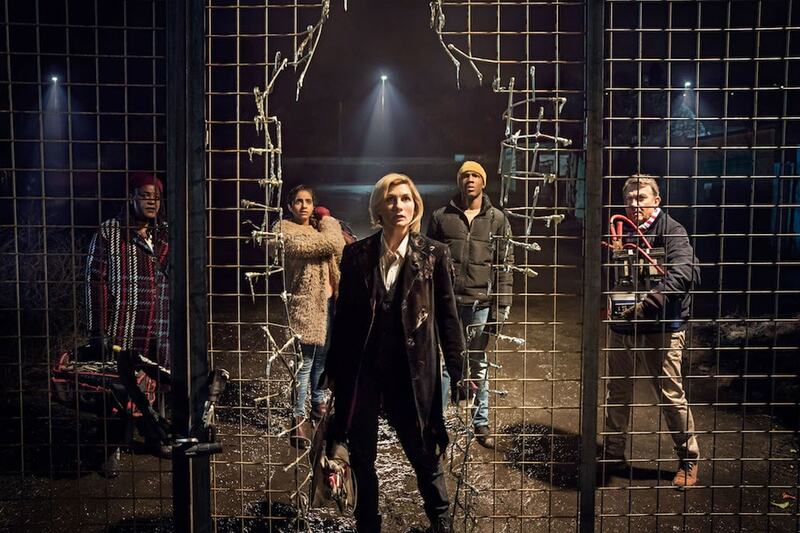 The wonderful thing about this is every time there’s new cast members, and new Doctors or new companions, the show is regenerated in a literal sense with the character. New energy is brought into it. We wanted to make a series that was very inclusive because for people like me, we’re all very new Whovians as well. We’re introduced into this world, as new fans will be on this season. What journey do the characters go on this season? This season is 10 stand­alone episodes so you have contained storylines within every episode. So you have a huge series character arc for many of the characters. But if you come in at episode five, you’ll get a stand-alone story which feels like a film, and which stands up amongst all the television that’s available to anyone now. You worked with David Tennant on Broadchurch. Did you get any advice from him and the other Doctors? How did you decide what kind of Doctor you were going to be? It’s easier than it sounds, because it’s all in the writing. All those wonderful layers and characterisations are given to you on a plate in the writing. But there are no rules with it; you’re not limited to a time period or a certain etiquette and you can play it how you want, so it was fun and playful. How long did it take for you to settle into the role? The thing that’s really helpful in episode one is being in Peter’s costume for 95 percent of it and feeling like I was literally in someone else’s shoes. So I felt as if I was continually trying to discover things and I suppose settle in. I really love the euphoria of the scene where the Doctor finds what she wants to wear because it does feel like from that moment, the electricity is all connected back and for me personally it felt like I could get into my own skin. So I felt like it was a really helpful episode to start with. What’s it like seeing fans dressed up as you? It’s amazing to see all ages and different genders wearing your costume and it looking cool on everyone. It’s really comfortable so I’m not surprised they’re wearing it. What themes do you think are important this series? Friendship and loyalty and survival. All things that are very human, interlaced with things that are very far from human and familiar. How was shooting part of the series in South Africa? It was amazing because it was January and it was freezing in the UK and it was boiling in South Africa. The crew over there are extraordinary. We were so well looked after and we were filming in locations that as a tourist I don’t think you’d necessarily get to see and that’s mind-blowing in so many ways. Just the elements and nature and I suppose the epic landscape serving the story was great; they made our job a lot easier. Did you do your own stunts? In episode one, that’s all me. I’m really proud of that. There were moments later on that needed a professional but episode one just needed someone daft enough to jump between two cranes. It was three days in. Four o’clock in the morning. Week one. I was trying to be really cool in front of all the crew so I said I’d do it. We were about 60 feet – pretty high – and I was obviously on a wire and it was all safe, but it was nerve-wracking and not something you do every day. Actually it was amazing. The wonderful thing about the Doctor is it’s all about self-belief in so many ways. You don’t have these outlandish or otherworldly skills physically; you have a body like anyone else, and it can and can’t do certain things. But that kind of faith to just leap was euphoric. Were you knackered during the shoot? I was alright actually. Tosin gets tired. He catnaps every lunchtime. What was it like to watch the first episode? Often we’re on set and we’re shooting out of sequence and we’re not necessarily looking at what is on screen. There are so many bits you don’t know about, so watching it is amazing. 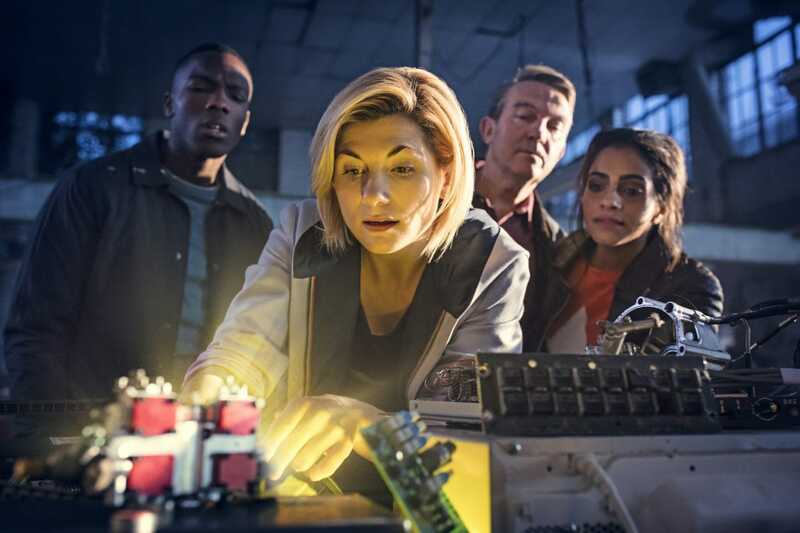 The first episode of Doctor Who S11 is now streaming first and only on Showmax, with new episodes coming every Monday, express from BBC One in the UK. Which woman will win the battle for the throne in The White Queen?